Auburn Collision Center uses the latest in state-of-the-art equipment and techniques for all makes and models of vehicle repairs. Water-Based paints with fewer emissions into the air and take less energy to dry. We offer a shuttle ride with-in 10 miles. I-CAR certified Gold technicians and estimators. As a direct repair facility for many of the major insurance companies, makes getting your car repaired less stressful. Scheduling of the repairs and rental, if needed, is easy with rental services nearby. Auburn Toyota Rental, Enterprise and Hertz. The repairs come with a limited lifetime warranty, or related to the damages, to the single owner for as long as it is owned by the single owner. Why choose Auburn Collision Center? One call to us gets you started-we’ll even arrange towing service if you need it. Your car will be repaired at our full service repair facility using the latest state of the art equipment and techniques. You’ll get fast and courteous service from your very first phone call. Our associates assist you with your paperwork, work with your insurance, and ensure you get the answers you need. You have a choice when it comes to repairing your vehicle, no matter who your insurance company recommends. It’s helpful to know ahead of time where to take your vehicle for collision repair. You never know when an accident may happen, but you can be prepared by knowing what to do after it happens. 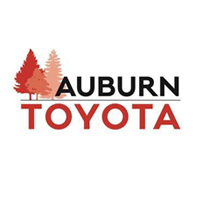 You’ll find the best value for your money at Auburn Collision Center. 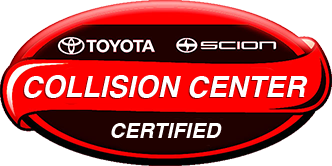 Auburn Collision Center’s 30,000 square foot state-of-the-art facility is a full service collision repair shop for all makes and models. 32 Metal–work bays with MIG Welders, pro-spot welders, 6 frame racks, and infrared alignment rack. 16 Paint Bays, a dedicated paint mixing room, 2 heated downdraft prep stations, and 2 drive-through acudraft-downdraft spray booths. Environmentally friendly design features- 100% solar-powered facility, under floor water reclaim system, and water-based paints that put fewer emissions into the air and take less energy to dry.